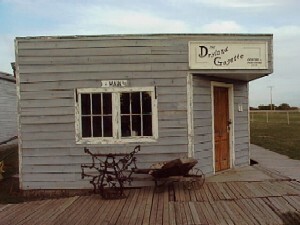 The printing press was used to print the Gravelbourg newspaper, "The Star." 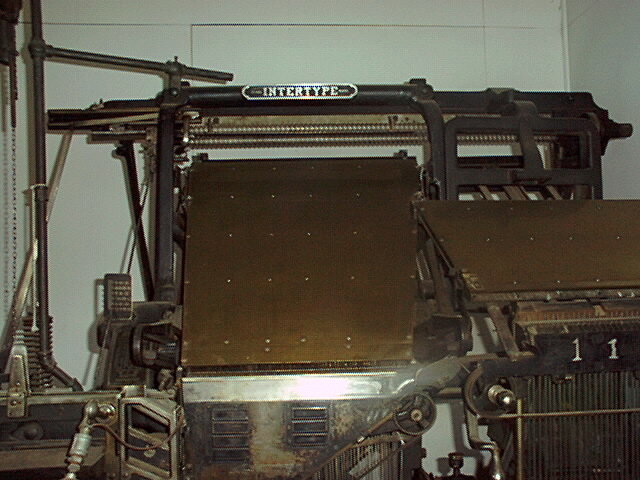 The machine with all the keys is the type-setting machine. As each key is pressed, there is a little brass letter that is held against a pot of hot lead metal, then a pump injects the lead into the form that is the word or name. The lead is reused time after time. 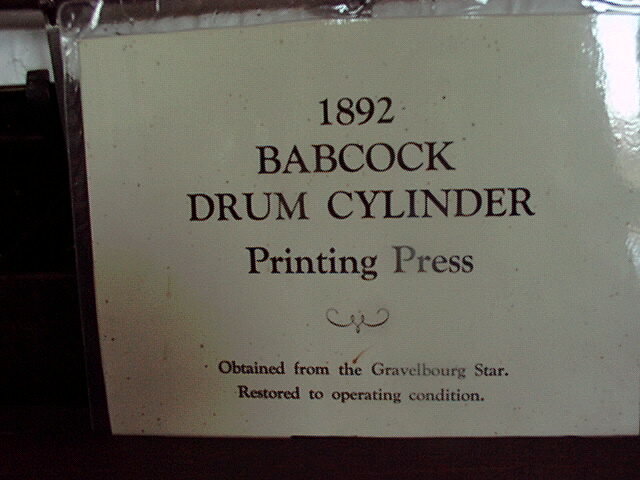 The west machine is a platen press - it was built in 1873. There is no motor - it was operated by a treadle. 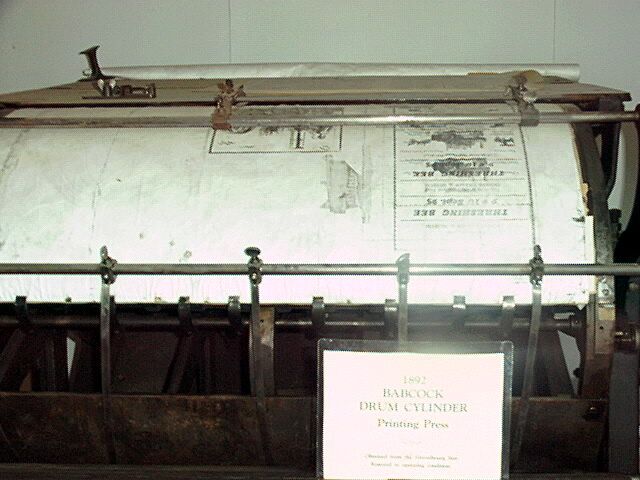 Most of the letterheads and business forms are done on this press. The wooden trays are full of hand-set type - it was assembled on a stick into words, then put into the press. 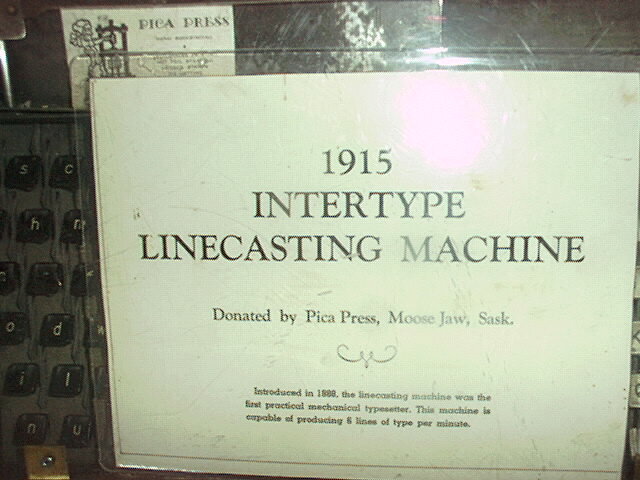 The presses still work and are used to this day by Larry Pion of Pica Press.